The McLaren GT factory driver line up of Rob Bell, Kevin Estre, Alvaro Parente and recently announced Bruno Senna will contest the 2015 Blancpain Endurance Series as part of bold plans by customer team Von Ryan Racing, alongside newly confirmed factory driver Shane Van Gisbergen. The five works drivers will take part in the five-date calendar as the British-based team enters two McLaren 650S GT3 racers in arguably the most competitive GT3 championship globally, which includes the Total 24 Hours of Spa. 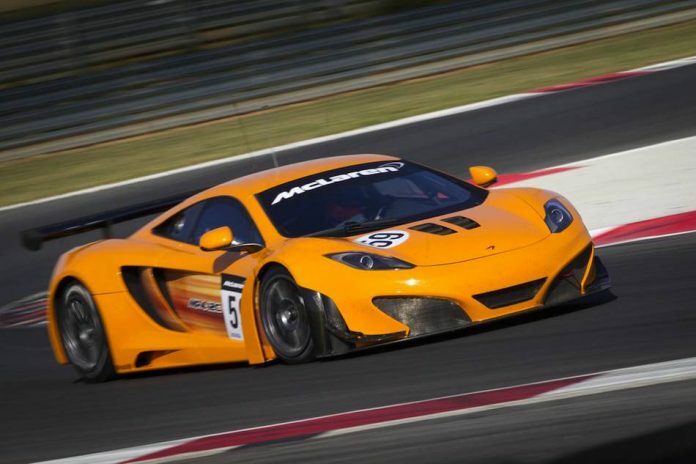 Customer team Von Ryan Racing has run McLaren GT cars from when the project began in 2011, campaigning the 12C GT3 in a variety of championships over the past three seasons. 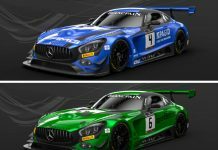 Team principal Dave Ryan will head up the two-car line-up in the Blancpain Endurance Series in addition to the recently announced two-car Avon Tyres British GT entry with McLaren GT Young Drivers Andrew Watson and Ross Wylie. 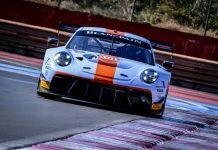 The factory drivers will test at the official Blancpain Endurance Series test dates at Paul Ricard this week (11-12 March), before the opening round of the season at Monza, Italy, 11-12 April. Factory drivers Rob Bell, Kevin Estre and Alvaro Parente will remain with McLaren GT for the 2015 season. This confirmation marks the fifth season with McLaren GT for both Bell and Parente, having been involved with the Woking-based manufacturer since the debut of the 12C GT3 in 2011. Estre has re-signed with the team for a second term, following a strong debut in all championships in 2014. In addition to the full Blancpain Endurance Series, each of the drivers will be involved with McLaren GT customer teams in a variety of global GT championships. Rob Bell, 35, will support the drivers in the McLaren GT Young Driver Programme throughout the season, as Andrew Watson and Ross Wylie contest the Avon Tyres British GT championship with Von Ryan Racing. 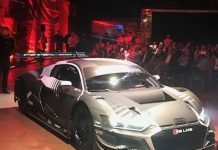 Bell will work with the drivers as a driver coach, and will be on hand to offer expert tuition and advice to the youngsters in their first season of GT3 racing as they debut in the Von Ryan Racing 650S GT3. Kevin Estre, 26, will contest the Blancpain Endurance Series in a McLaren for the second consecutive year, and has already got the 2015 season off to a winning start with victory for the US-based K-Pax Racing / Flying Lizard Motorsports team at the opening meeting of the 20-round Pirelli World Challenge. Estre claimed victory and a hard-fought fourth place in the double-header at the Circuit of the Americas in Texas on the 650S GT3 debut in North America. Alvaro Parente, 30, is confirmed to join the Spanish Teo Martin Motorsports team which has become a McLaren GT customer team for the 2015 season. Parente will contest the International GT Open championship alongside fellow countryman Miguel Ramos in a 650S GT3, with the season opener at Paul Ricard, France, 24-26 April.